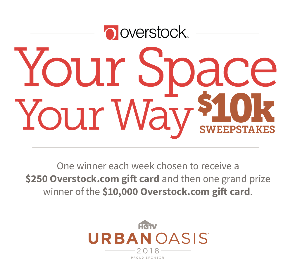 Prize: Grand Prize (1): $10,000 Overstock.com gift card. Weekly Prize (8 – one per week): $250 Overstock.com gift card. Statistics: This contest was opened by 47 and entered by 7 ContestChest.com members. 15% of those who opened the contest, entered it.